Looking for affordable alternative transportation in Melbourne? REDY2GO is, of course, best known for our airport shuttle services in Melbourne, but we now provide RideShare services in Melbourne as well. It’s an easy way to get transportation from Melbourne Airport (MEL), Clyde railway station, or anywhere you want to go. Grab a ride with REDY2GO. Like our shuttle services, we bring that same level of excellence to our RideShare transportation. Avoid taxis with our simple to use car share services. We make it easy to get from Melbourne to Tullamarine, Lilydale, Canberra, and more. Plan a trip with a REDY2GO driver; download our ride-sharing app in Melbourne today. With your choice of RideShare companies in Victoria, why go with REDY2GO? Unlike other RideShare services, we are 100% Australian owned and operated. No one knows Melbourne like we do. Our drivers are both knowledgeable and friendly, and each are handpicked and personally vetted to ensure the best possible travel experience in Melbourne. Plus with a REDY2GO RideShare, there’s never surge pricing in Melbourne. Ever. The price you see is the price you get. Our RideShare cars are very affordable and perfect for backpackers, vacationers, and international travellers! Reserve car shares from Melbourne Airport (MEL), Southern Cross railway station, Melbourne CBD, Lincoln Square, hotels, and more. Want to become a driver in Melbourne? Drivers are always wanted! 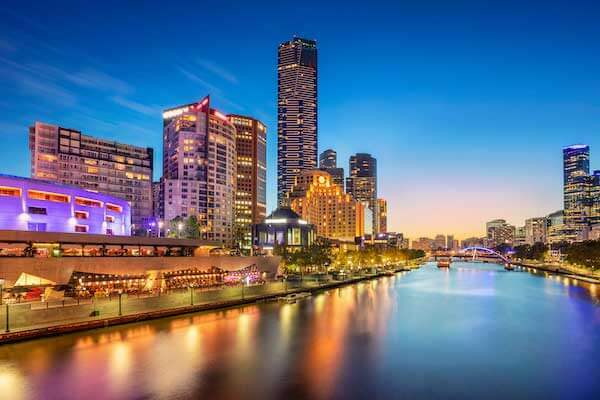 Melbourne is second most populated city in Australia and the capital of Victoria. The city is also regarded as Australia’s sporting capital. The Melbourne Cricket Ground (MCG) is the biggest cricket stadium in the world. Docklands Stadium (Marvel Stadium) hosts Australian rules football games, cricket matches, and rugby games. The main airport is Melbourne Airport (referred to as Tullamarine Airport). The Port of Melbourne is Australia's busiest seaport, and the main railway terminus is Southern Cross station. Start or end your trip with a RideShare service in Melbourne by REDY2GO. Looking for a shuttle services? We also provide inexpensive airport shuttles from MEL. If you’re ready, download the REDY2GO RideShare App today on Apple/iTunes or Google Play.